Colorectal cancer is the second-most prominent cancer killer in the United States that affects both men and women, according to the Centers for Disease Control and Prevention. But that is something that can change with the continued push to get more people screened. Colorectal cancer is the second most prominent cancer killer in the United States that affects both men and women, according to the Centers for Disease Control and Prevention. But that is something that can change with the continued push to get more people screened. 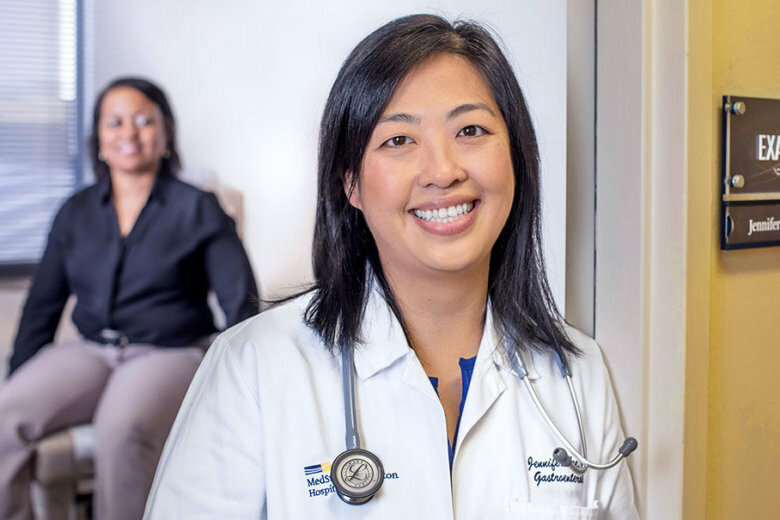 Colonoscopies screen for colon cancer and play a large role in its prevention, yet many people still aren’t getting the vital screenings, said Dr. Z. Jennifer Lee, a gastroenterologist at MedStar Washington Hospital Center. “I think patients avoid colonoscopies for various reasons. I think one of the biggest reasons is that they fear it will be uncomfortable. Who wants to come in and have something inserted in their backside?” Dr. Lee asked. Many patients may think something could be wrong, but they don’t want the devastating news of cancer, Dr. Lee said. Colonoscopies are very important for everyone because they are not only a test of cancer detection, but also of cancer prevention — meaning concerning polyps can be removed, thus preventing them from growing into colon cancer, Dr. Lee added. A national campaign is working to increase awareness about the importance of screenings to prevent colorectal cancer. The 80% Pledge (also known as the 80% by 2018), was established to increase the colorectal cancer screening rate to at least 80 percent of eligible adults by Dec. 31, 2018. The pledge was recently adjusted to extend beyond 2018 and “reflect our intention to continue our efforts to increase colorectal cancer screening to 80% or higher across the nation,” the National Colorectal Cancer Roundtable said. This effort is one Dr. Lee is cares deeply about. When patients come in for their colonoscopy, they get an IV and fall asleep for the procedure — only to wake up to it being done, Dr. Lee said. “It’s not as bad as people think it is. If you ask most of the patients after their procedures, they would tell you that,” she said. People at average risk for colon cancer should start screening when they turn 50 and every 10 years thereafter if nothing suspicious is detected. People at greater risk for colon cancer, including African-Americans and patients with a family history of the disease, should begin screening at 45 or younger. Epidemiologically, African Americans are more prone to colon cancer than other ethnicities, so doctors are “really focusing on preventive care — and we want to catch them earlier as well,” Dr. Lee said. If patients aren’t willing to get a colonoscopy, there are other stool-based tests that can be done. They must be prescribed by a doctor and can be done at home. No matter the method, it’s vital to get screened for colon cancer, Dr. Lee said. Risks associated with colonoscopies are rare – they occur at a rate of about one in 10,000, Dr. Lee said. And patients should know when they get a colonoscopy at MedStar Washington Hospital Center, they are in the care of knowledgeable professionals, Dr. Lee said. Read more and listen to a podcast with Dr. Lee about the importance of colonoscopies here.